This will be my final post for 2012, but it is a beautiful one! Readers will know from earlier posts (such as this one) that I'm very interested in the role of language in shaping people's use of the internet in different cultures around the world. As one of its Chrome experiments Google created the animated globe below, which displays search volume by language from all around the world. English is represented by blue spikes, while Korean is a turquoise color, Chinese language a dark orange, etc. Take a look at the clear patterns in the Asia Pacific Region, and note the absence of search activity from north of the Korean DMZ. Or, explore your country or region of interest. Just click and hold your mouse, then drag it to rotate the globe, similar to the way Google Earth works. Enjoy! As readers of this blog are well aware, I've long been interested in the matter of Korea's national image and the efforts of the Korean government to deal with it. To retrieve earlier posts on the topic, use the search box at the right and enter "national image" or look at just this post from 2009. Today, in what will probably be my final post of 2012, I'd like to introduce a new perspective on Korea's national image, courtesy of Google Trends (formerly Google Insights for Search). As noted in several earlier posts (e.g. this one) Google Trends is a valuable tool for studying world attention patterns in the information age. As shown in the graphic below, a comparison of worldwide search activity for "North Korea" and "South Korea" vividly highlights (the peaks on the graph) attention to North Korea's attacks on the South, its nuclear tests and generally emphasizes the military confrontation between north and south. To test this, use the hyperlink to view the full report in Google trends and hover over the news items indicated by capital letters on the peaks of the graph. In earlier posts, a few years back, I published separate links that showed patterns in searches for "Samsung," "LG," and "Hyundai," but it is more interesting to include a couple of these companies in the same chart, as below. I think the relative volume of search for Samsung and LG, versus North and South Korea, provides a powerful message about Korea's national image. At least it provides food for thought and data-based evidence of relevance to policymakers. I encourage you to explore the data using Google Trends and its different capabilities. The animations that accompany the world map are particularly fun. I will revisit this topic, so your reactions and comments are welcome! A quick check shows that my blogging activity in 2012 is down measurably from the previous several years. That is largely because of my teaching, research and other commitments since joining KAIST in February as a Visiting Professor in the Graduate School of Science and Technology Policy. However, as I'll briefly explain here, there should be an uptick in the quality, if not quantity of my blogging during 2013. The first reason for my expectation is that this blog will benefit from my exploration of related topics in the "Introduction to Mass Communication" course that I'm teaching. Preparations for that class and the interaction with very bright, mostly motivated students from Korea and around the world is helping me to build a broader and deeper perspective on the emerging global information society. A second reason has to do with the research side of my activities here. I've co-authored a paper for a forthcoming academic conference with a good Korean colleague that focuses on Korean government restructuring and its impact on the ICT sector. My major research activity of late involves writing a monograph length document on behalf of a regional UN institute on the topic of social media for development. From the beginning, late last summer, this has been not only a tremendous learning exercise and also a very compressed writing project. It leads into several subjects that I hope to explore on this blog in the future. One area, the growing field of "data visualization" will be the subject of my next post. My exploration of the young, growing field of social media has also given me a few obvious pointers on how to improve the reach and targeting of this blog. This is likely the penultimate post for 2012! "Happy New Year" or 새해 복 많이 받으세요! My morning routine usually starts with breakfast and then, along with my morning coffee, I read a number of newspapers and news alerts. One of those is The Korea Times. 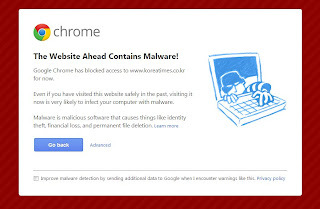 This morning when I attempted to open that newspaper's web site my Chrome browser produced the warning shown here (click to see a full size version). This is not the first time this has happened, and I've never experienced a similar problem with other Korean newspapers, so I thought I'd share this with readers. For the time being, I'm avoiding the site. December 19, 2012--I've been watching Korean television all evening, watching the election returns and it just seems an appropriate time to make some observations on the role of media in this year's election. First, the internet, digital networks and social media played a role in the election, but it was not at all like 2002, when youthful members of "Rohsamo" were credited with sweeping Roh Moo Hyun to victory on election day. Ten years of experience with the new digital media seem to have given Korea a more mature media and political culture. Mobile voting was used by the opposition party in the Korean equivalent of primaries that chose Moon Jae In as the presidential candidate, and it caused some controversy but there were no major controversies involving the internet and digital networks in the general election. Second, all of the major television broadcasters covering election results followed some basic rules. The first of these was that there were no exit poll or computer projections aired until after the polls closed, at 6:00 P.M. in the evening. The broadcasters did make an effort to build up some suspense leading up to the 6:00 hour. YTN, for example, displayed an on-screen countdown during the last 60 seconds before 6 P.M. and then proceeded to broadcast its projections based on exit polls. Third, at 6:00 P.M. all but one of the leading broadcasters projected a narrow win by Park Geun-hye. However, YTN television predicted that Moon Jae In would win the election. No doubt there will be considerable analysis of polling methods and results in the coming days! Finally and perhaps most interesting, most of the broadcasters used cartoons, caricatures of the candidates or animations to illustrate their presentation of results as the night wore on. For example, SBS used an Indiana Jones, Raiders of the Lost Ark motif along with music from the movie to accompany its presentation of some results, after final projections had been made. It should be noted that this addition of a light, animated or humorous approach is a general pattern in Korean television content. 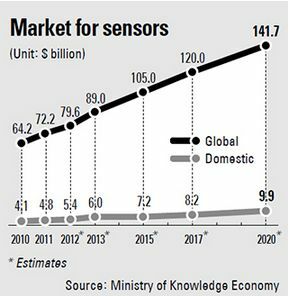 As reported in the Korea Joongang Daily this morning, the government plans a significant investment in development of the sensor industry, as shown in the accompanying graphic. (click to see a full size version) This is an important development, but needs to be seen in its proper context, which is building the "ubiquitous networked society" that South Korea declared a national goal back in 2006 with its U-Korea plan. Readers will see the relationship to my previous post about Korea's nanotech convergence policy. Korea will need to develop its sensor market, but the value of doing so is not apparent from treating it as a silo and in isolation. Sensors are only valuable because of the information they sense, record and transmit. The communication, and especially the communication content, is what is essential. As readers of this blog are well aware, I've been regularly following the topic of Microsoft's undue influence on web surfing and computing in South Korea, otherwise referred to widely as this nation's "Microsoft Monoculture." My last post on this topic was in April of this year, but an article in the Joongang Daily this morning reminded me that the problem of over-reliance on outdated Microsoft software--specifically ActiveX--persists! Ahn Cheol-soo, while he was campaigning for the presidency here earlier this year, made a campaign pledge to eliminate ActiveX. “ActiveX is irritating everyday life for the people of Korea,” he said in a speech, “I will lift ActiveX and that will be a crucial part of my campaign.” Now Ahn is out of the campaign, but ActiveX remains a big nuisance here in South Korea. The Joongang Daily article has some interesting detail, including the above graphic (click to see a full-size version). It reports that "According to a second-quarter survey of 200 public and private Web sites by the Korea Communications Commission, a top government agency overseeing IT policies, 84 percent, or 168 sites, were using ActiveX. The plugin had the largest usage for Web security - 42.2 percent for public sites and 39.7 percent for private sites. The next biggest use of ActiveX was for online shopping and personal verification." An article in the Joongang Daily this morning reminded me of the opening pages of Jonathan Zittrain's excellent book, The Future of the Internet and How to Stop It. (available for full download with a Creative Commons copyright) He begins by describing the Apple II computer as a "quintessentially generative technology," and then goes on to explain why the Apple iPhone was the opposite, a pre-programmed, sterile platform. 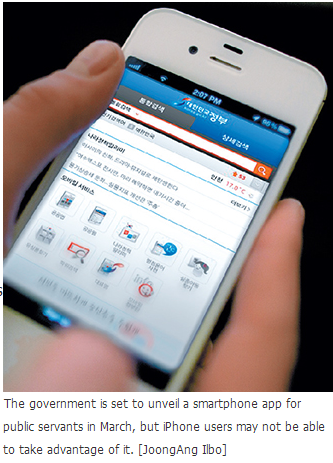 It turns out, as reported in the Joongang Daily, that the Korean government is preparing to launch a mobile app for use by the nearly one million civil servants employed by the Korean government. According to the article, Korea's "...Ministry of Public Administration and Security said it asked the National Intelligence Service late last year to review the security level of smartphones and tablet PCs on the market as part of its preparations for developing the new service. Following the review, the NIS asked mobile device manufacturers like Samsung Electronics, LG Electronics, Pantech and Apple to meet security-level requirements including source code disclosures as a prerequisite for participating in the development and installation of the electronic system." Apple's local subsidiary rejected the NIS request on the basis that it represented unwanted meddling. “What the NIS and Korean government are trying to do is meddle with Apple’s own system,” said an Apple Korea insider, who asked not to be identified. “But Apple is equipped with the one and only door to its iOS system - iTunes - in the interest of tight security and to protect itself. That’s why Apple has gained a reputation for stable security. Look at Android. It has about 100 doors. It’s impossible for Apple to hand the key to the door over to the Korean government.” In this instance, the contrast between Google's open source platform and advocacy of an "open web" and Apple's closed, sterile approach, could not be clearer. Some Korean financial institutions have added games to their online banking systems in order to attract customers. As shown in the accompanying graphic, (click to see a full size version) this is part of a broader international trend. For example, "a 39-year-old with the surname Yim plays “My Love Dokdo” on his smartphone whenever he has time - not just because the game is addictive, but because it can garner him a better interest rate on his online banking account. “I started playing it because if I reach level 20 the interest rate on my account will automatically go up 0.5 percentage point,” said Yim, who recently opened a “My Love Dokdo Cyber Fixed Deposit” account with NH Nonghyup." There is interesting news about mobile communications in North Korea in an interview by Forbes magazine with the Egyptian tycoon, Naguib Sawiris. His company, Orascom Telecom has a 75 percent stake in Koryolink, the North Korean mobile network that is 25% owned by a company under the Ministry of Post and Telecommunications. According to Sawiris, "Koryolink currently has more than 1.5 million subscribers. Coverage includes the capital Pyongyang in addition to 15 main cities, more than 100 small cities, and some highways and railways. Territory coverage is around 14%, and more than 90% population coverage. The subscriber base has been increasing at a very healthy rate from 950,000 at the end of 2011 to an estimated 1.7 million at the end of 2012." I've just spent an hour or so looking at timelines on the Web that depict the history of mass media, the history of the internet or the history of social networking. For one example, see the infographic published on Mashable. Are you surprised to read that not a single one of the dozen or more timelines I found even mentioned Korea's Cyworld, which began operation in 1999, half a decade before the invention of Facebook? The omission is even more egregious because Cyworld was thriving in South Korea by 2004, with over 22 million users and more than 92 percent of all Koreans in their 20s using the service! 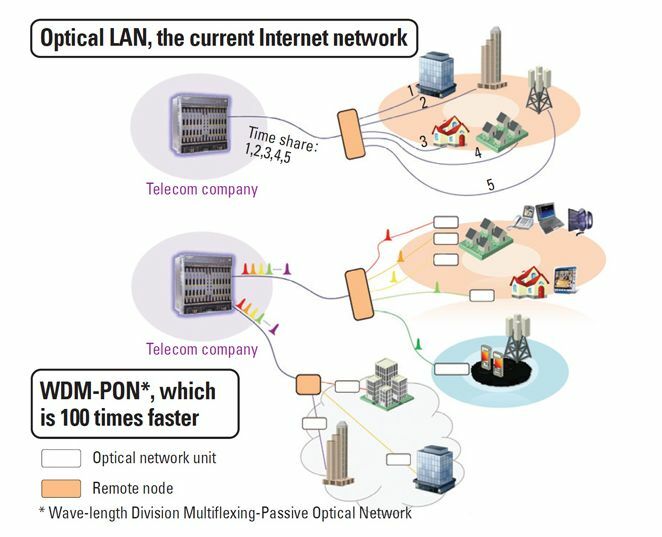 I realize that Korea is not the only Asian country omitted from the many timelines published on the English part of the WWW, but it is a glaring omission because the nation built fast nationwide broadband networks years before other countries caught up. China, which today has the largest population of social media users in the world, also fails to appear in many of these accounts. The main point of this post: for readers to remember that the social networking phenomenon, at least measured in terms of public popularity and use, began right here in Korea, not in the Western world. More on this topic in future posts. I've been busy reading and thinking about social media these days in connection with a consulting project for a United Nations Asia Pacific regional center devoted to information and communications technology for development (ICT4D). The field of development communication, which was my focus in graduate school at Stanford back in the mass media era, has changed a great deal, mainly because of the revolutionary development of the internet and digital communication technology generally. ICT4D and more recently social media for development are now in vogue, in no small part because of the tremendous hopes for the role that mobile broadband internet via smart phones, tablets and other devices, may play in bolstering socioeconomic development in the poor nations of the world. On the infrastructure side of things, there is ample reason for optimism since it appears that nearly everyone in the world will have some form of mobile broadband access within a decade. At the end of 2011, the ITU estimated that over 87 percent of the world's population had mobile phone subscriptions. However, it is well to remember that there were high hopes in the 1970s that mass media would contribute to national development, and those hopes were never realized. I'll be following this topic more closely and may post here occasionally. For those of you interested in following the main issues, I recommend two blogs. The first is the ICTs for Development blog authored by Richard Heeks of the University of Manchester's Centre for Development Informatics. To ensure a balanced perspective, I also suggest that you consult the ICT4D Jester blog, written by Kentaro Toyama of U.C. Berkeley. More on all of this in future posts. South Korea these days has a flourishing information culture and would certainly have to be counted among the liveliest democracies in Asia. On the other hand, certain other countries in the region have governments that are proceeding under the illusion that they can somehow harness or control the internet within their borders. It is in this context that I noticed today's Washington Post article entitled "Iran preparing internal version of the internet." Will this be the "great firewall of Iran"? An article in The Chosun Ilbo today reinforces the argument I made in an earlier post about the design limitations for smart phones, given that they all contain a screen, an antenna, certain chips and so forth. There are limits to what you can do with design, given that the final product must contain many of the same parts. The most fascinating part of the article was the revelation, according to documents made public by the U.S. court, that Apple consulted mobile phone designs of Samsung Electronics and LG Electronics before it unveiled the iPhone in January of 2007! 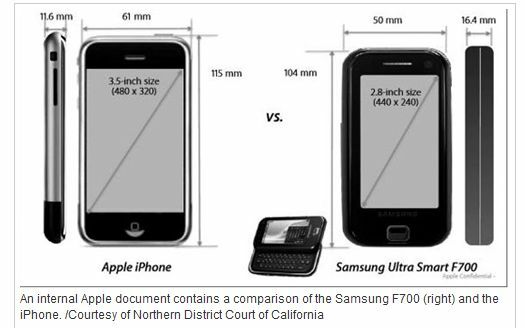 The internal Apple document contained the accompanying diagram (click to see a full size version) comparing the iPhone to a Samsung Ultra Smart model. So who copied whom? As implied in the last paragraph of my recent post about the Samsung-Apple court verdict in California, Google is the real target Apple is after in its lawsuits around the world. This is made clear in a nice article in Slate, entitled "Could Apple and Google Bury the Hatchet?" I would only comment that, in comparison to Google, Apple may have some nice computing devices and services, but it promotes a rather limited and closed view of future information networks and services. Dokdo is in the news again, following President Lee Myung Bak's recent visit to the rocky islets in the East Sea and Japan's response. My last posts on this subject were back in 2008, the last time this issue flared up. In two of them, one here and another here, I emphasized that the cyber diplomacy about Dokdo may be as important as the "real world diplomacy." 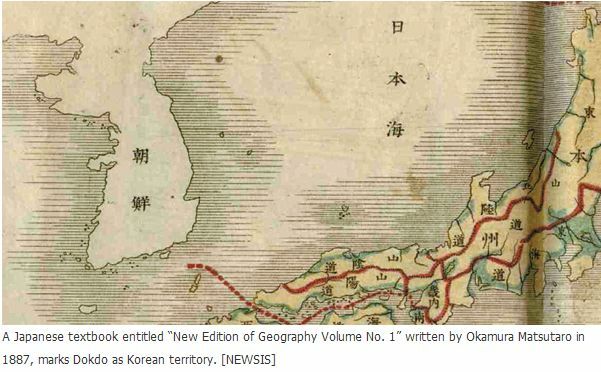 The Korean press this morning (for example the Joongang Ilbo) is covering the fact that old Japanese textbooks, all published before 1905, do not claim Japanese sovereignty over Dokdo. As the accompanying map, from a Japanese geography text published in 1887, clearly shows, Dokdo is part of Korea's territory. (Click to see a full size version of the graphic. Dokdo is the easternmost of the two small islands to the east of the Korean peninsula) This makes historical sense, but the Japanese claim to Dokdo does not. On a clear day, Dokdo is visible from the nearby Korean island of Ulleung-do, a larger and inhabited island that I recommend without hesitation to tourists visiting Korea. The recent jury verdict in the Apple-Samsung patent infringement case needs to be seen in global context and in the context of the networked information economy in which we now live. In this post I'd like to call attention to two of the issues. First, the notion that Apple should be allowed to patent so exclusively the physical design of its smartphone. In fact, Apple's iPhone, like all smart phones, is a hand held computer. Its main components include the screen, a case, a memory chip, a processing chip, a GPS unit, etc. The process for manufacturing screens is a bit like that for semiconductors. They are churned out in mass and in a certain size. Also consider that there is a certain range of sizes that fits comfortably in the human hand. Given these realities it seems reasonable that there were in fact, design proposals similar to the Apple iPhone before it ever appeared (that, in fact, is what Samsung claimed publicly) and it stems from the simple reality that you have to build a lightweight, hand-held device that will accommodate a certain size screen. Second, a related issue is discussed in an insightful article in The Korea Times by Kim Tong Hyun. As he points out,"The real issue is whether the framework of the century-old patent laws, which served as the basis for the San Jose decision, has outlived its essential usefulness for inspiring innovation." These days I've been reading Yochai Benkler's excellent book, The Wealth of Networks, particularly for his treatment of the basic economic characteristics of information. One very important characteristic of information, referred to by economists as the "on the shoulders of giants" effect. Information is both an input and an output of its own production process. In fact, innovation in today's global ICT sector depends critically on this characteristic. Let's face it, Apple, while producing some devices that people love to use, has not yet embraced the open model of the internet that Google and other companies, along with many citizens groups and even governments seek to foster. Those of you who think that Apple should be the only company allowed to manufacture devices with the "pinch to zoom" touchscreen feature should remain loyal to Apple, but I believe that in the long run, consumers, companies, citizens groups and others around the world will weigh in against Apple on their limited, litigious approach to building networks and devices for the information age. An excellent article appeared in Slate, entitled "Forget the desktop." The author consults a tablet first thing every morning. In my case, I consult my Google Nexus phone, mainly to check e-mail. Even when I do get to work in my office at home, I use a notebook computer, with a second large screen attached. But it is arguably more convenient to check a smart phone or tablet.....no waiting for the device to boot up, a clearer display, and so on and so forth. South Korea is a leader in e-government (see an earlier post), so the news that Samsung SDS and the Canada-based company Freebalance have entered into an alliance caught my eye. FreeBalance, based in Ottawa Canada, is a global provider of Government Resource Planning (GRP) software used in Canada, developing countries and emerging economies. As noted in the release on PRWeb, Samsung SDS is leading the way for computerization and advancement of public administration across the world, spreading the Korean e-government model to other markets. There is interesting news coming out of North Korea these days regarding the continued growth of its mobile telephone networks and the possible implications of that for efforts by the country's government to control the flow of information in and out of the nation. 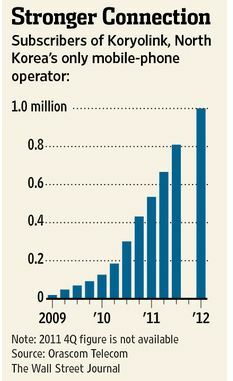 The Wall Street Journal carried an article, with the accompanying graphic (click to see a full size version), showing that there are now one million mobile phone subscribers in North Korea. Also, as noted in the article, Chinese handsets smuggled into the country continue to form an important link for communication with the outside world. The OECD has just updated the data in its Broadband Portal, and on one of the measures, "wireless broadband subscriptions per 100 inhabitants," South Korea leads the world. In a sense, this is not surprising since Korea made a bold decision in the early 1990s to adopt CDMA technology as its mobile communications standard. In the ensuing years it became the first nation to commercialize CDMA and by the turn of the millenium virtually all Koreans were using 3G CDMA-based mobile phones, capable of accessing the internet and data services. However, things change and today South Korea is leading the world in implementation and use of LTE networks and the number of people using LTE phones is rapidly rising. As shown by the accompanying graphic (click to see a full size version) the OECD data show that Korea has become the first nation in the world where wireless broadband subscriptions exceed 100 percent of the population. Apple's aggressive legal battle against Samsung, claiming in courts around the world that the Galaxy Tab was a copy of Apple's iPad has taken an interesting turn. A British court has ruled that Samsung did not infringe upon Apple's patent rights, partly because the design of its tablets was "not as cool" as that of the Apple iPad. My first thought when I read this in several media reports was something to the effect that you have to appreciate the British sense of humor! The entire legal ruling, by the England and Wales High Court, is available online, and the reference to coolness comes in the 190th paragraph of that ruling. Moreover, when Apple released a public statement following the judge's initial ruling, he issued another ruling ordering that Apple take out ads in British newspapers and magazines, stating that Samsung did not copy its iPad. Of course, this may not happen because it will be appealed by Apple. This will be a saga to follow because, if nothing else, it illustrates some of the contemporay excesses of high tech patent law! Neilsen has released a summary of key findings from the Asia-Pacific region of its Smartphone Insights Study, providing some empirical data to back up my impressions about the extent and characteristics of smart phone usage here. As shown in Chart 1 from the study (click to see a full-size version), only Singapore has a higher proportion of mobile phone users who use smart phones versus feature phones, and Singapore as we all know is nowhere near as large, geographically or in population terms,as Korea. The report also noted that eighty percent of Korean mobile phone users had accessed the mobile internet during the last month, a percentage exceeded only by Japan's users at 86 percent. Korea had the highest usage of location-based-services among smart phone users with 59 percent, followed by Japan at 56 percent. Finally, and not surprisingly, chart 5 from the report (click to see a full size version) shows that smart phones using the Android OS are more dominant in South Korea's market than in other regional markets. This pattern, of course, reflects the dominance of Samsung, LG and other Korean manufacturers of smart phones. As readers of this blog will know, I've long been interested in the power of television to transmit live or timely visual images. This was one main reason I chose the topic for my doctoral dissertation years ago and wrote my first book, Television's Window on the World: International Affairs Coverage on the U.S. Networks, (for you history buffs, it is now available in a Kindle edition). Naturally, South Korea's ascent to its current dominant role in the global television industry would catch my interest (for example, see this 2011 post). Now, the recent announcement by both Samsung and LG that they will be moving into production of wafer-thin OLED (organic light-emitting diode) television sets is getting a lot of publicity around the world, so it seems to be just the right time for another post on this topic. While a Washington Post story suggests that the two companies are gambling on the future success of OLED television, I would suggest that it is a sure bet, in the long run, for several reasons. First, the new television sets will not only be wafer thin, but also lightweight. The weight factor is definitely important to consumers, as anyone who has tried to lift one of the larger early-generation LCD sets can testify. Second, along with the reduction in weight comes a significant reduction in power consumption and therefore a lower electricity bill. Many consumers will factor this in when making a purchase decision, reasoning that they will make up for the higher initial purchase cost in electricity savings over time. 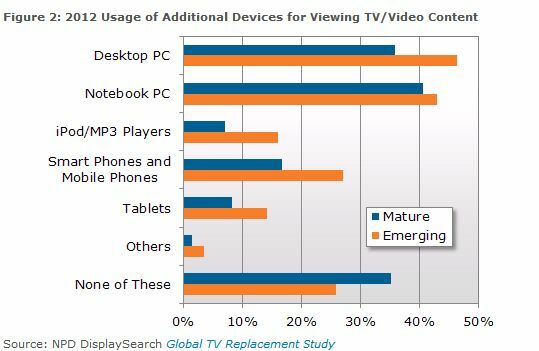 Third, the thinness of the new television sets is itself a factor that will produce more sales. We are approaching an era when television sets and all types of electronic displays will resemble wall paper or some sort of surface coating more than anything else, but they will still convey text, video and images, just like an old-fashioned television set. Fourth, the increased vividness of the color in the new OLED televisions will be a factor that influences some consumers. My take on the situation is that Samsung and LG are smart to make an effort to stay on the leading edge of the innovation curve when it comes to display technology. Whether OLED or some other future technology, the initial production costs may be high, but they will decrease over time, as with all digital technologies. Readers of this blog will also know that I don't jump on the bandwagon for every new television technology that comes along (see, for example, my 2011 post on 3D television). However, I believe that OLED television is going to be the preferred technology all around the world, until something better comes along. The corollary is that South Korean companies are likely to maintain their dominant role in the television industry for the foreseeable future. As readers of this blog will know, (see this 2011 post), the debate over network neutrality was slow to arrive in South Korea. However, as reported in the local media, including The Korea Times, it is now gaining momentum. Moreover, the Korea Communications Commission is creating an alliance of mobile carriers and content providers, called the Smart Network Business Association, with the aim of settling differences over network neutrality. One thing seems certain. The debate over network neutrality here in South Korea will proceed differently than it has in the U.S. and other western countries, partly because of cultural differences and partly because this nation already possessed the world's most extensive digital networks when data-hungry smart phones and tablets, along with cloud computing, came along. When the government of President Lee Myung Bak came to power in 2008, it surprised many people with a reorganization of ministries that included elimination of the powerful Ministry of Information and Communication, which had served as a "control tower," actively coordinating Korea's telecommunications policies. That reorganization did not sit well with many, both inside and outside the ICT sector. Now, with a presidential election approaching in December of this year, there is considerable discussion of what the new government will do to coordinate ICT policy. Earlier this month, the National Information Society Agency hosted a conference on the topic, a summary of which is reported in the Korea IT Times. As one who has been following South Korea's ICT sector over the past decade while working in the field of international education, the recent announcement of a partnership between SK Telecom and Houghton Mifflin Harcourt quickly caught my attention. This alliance involves several of the recurrent themes on this blog -- Korea's need to move from strength in hardware manufacturing and exports into software and content, the role of ICT in transforming education, and the importance of language in shaping how people use the internet and new digital communication networks. According to a report on Yahoo Finance,"The alliance combines HMH's English-language education content with SKT's T-Smart Learning platform to deliver anytime, anywhere instruction and practice opportunities to students through their mobile devices." The article goes on to note that "The initial offering will make available education content and materials to Korean primary and secondary school students by October 2012. Going forward, HMH and SK Telecom will continue to develop additional offerings that provide device-based educational materials to students in an array of additional markets including China and India." Readers of this blog will know of my interest in the role of language and culture in shaping uses and effects of the new digital media. Regardless of the rapid changes in digital communications technology, computing power and the global scope of the internet, human language is still right at the center of all sorts of global communication. For all the talk about "digital divides," it may be more important to analyze linguistic divides, especially since language and culture are so closely intertwined. This reality helps to explain, among other things, why Chinese, Russian and Korean consumers still rely on their own home-grown "search engines," rather than using Google. PBS's Media Shift blog has an interesting article entitled "Could LinkAsia's Digital Hybrid Model Be the Future for Global TV News?" I recommend it and will have more to say on the topic in the future. The Korea Joongang Daily carried an article this morning that helps to clarify levels of usage of Facebook in South Korea. As mentioned in an earlier post, Nielsen data showed about 15 million Korean unique visitors to Facebook in April of this year. The Joongang Daily article was occasioned by a visit to Korea by Javier Olivan, Facebook's Head of Growth. “When I first came here, there were very few users of Facebook but now one out of five Koreans actively use it,” he said. “Active” is defined by at least one login per month. Based on what he said, some 10 million Koreans have not only registered themselves with the social network but also visit regularly. The accompanying graphic (click to see a full size version) shows the global growth of Facebook usage. The Business Software Alliance (Korean language homepage here) has released its ninth annual study of software piracy around the world, and it contains some interesting data that show South Korea's changing place in this picture. The report, entitled Shadow Market: 2011 BSA Global Software Piracy Study, shows that the United States led the list of top twenty economies in commercial value of pirated software with a value of over $9.7 billion, followed by China, Russia and India. The web presentation of the report contains an interesting animated globe graphic. One of the reports statistics is the percentage of people in each nation who admit to pirating software. Sixty-nine percent of South Koreans admitted to doing so, compared with only 31 percent of Americans. Globally, 57 percent of consumers admitted to pirating software. South Korea ranked 16th on the list with the commercial value of pirated software measured at $815 million. More significant than South Korea's current world ranking is the trend in this country over recent years, as it has come to have a greater stake in the protection of intellectual property. As shown in the accompanying table (click to see a full-size version), the software piracy rate in Korea has decreased from 43 percent in 2007 to 40 percent in 2011, a pattern also shown in other Asia-Pacific nations. However, note that the overall commercial value of pirated software increased, despite the decreasing rate of piracy. It seems the whole world, certainly its mainstream media, were paying attention to Facebook's IPO yesterday. In the afternoon, as I was driving home from a downtown visit, I received a phone call from a BBC Radio correspondent in London. He called again upon my return home and we had an interesting conversation and later a short studio interview. The BBC was interested in how Facebook will fare in Korea, China and some of the other Asian markets where it has limited experience to date but where the growth potential is very large. One thing that can be said with some certainty is that Facebook is off to a good start in the South Korean market, where social networking via Cyworld's mini-homepages was launched half a decade before Facebook appeared. In fact, by the time Facebook was launched in the U.S., over a quarter of Korea's population and an estimated 90 percent of those in their twenties were using Cyworld. Today one can begin to piece together the overall picture by consulting data gathered by different organizations, with different sampling techniques and for different purposes. As shown in a recent study by Neilsen (koreanclick.com), Facebook has recently overtaken Cyworld's mini-homepy service. The accompanying graphic (click to see a full size version) shows the trend in share of usage in a direct comparison of Facebook and Cyworld. 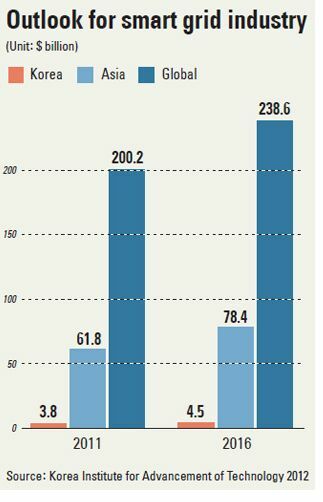 Nielsen measures usage rates based on a comparison of unique visitors to both of the social networking sites being compared. The Nielsen data indicate that usage of Facebook surpassed that of Cyworld early this year. The Korean language report published by Nielsen notes that the great success of Cyworld in South Korea, especially during the period from 2003 to 2007, established the pattern that Korean consumers depended upon social networking to solve some of their communication problems. Thus, when Facebook introduced a platform that was open to external sites and users, Korean consumers were ready to switch. Significantly, the Nielsen report suggests that PC and Mobile (Android) visitors to Facebook totaled more than 15 million people as of April 2012. (as a point of comparison, www.socialbakers.com suggests that South Korea has only about 7 million Facebook users) The pie chart from the Nielsen report (click to see a larger version) clearly illustrates the large impact that mobile broadband is having on the use of Facebook, a pattern that extends to other similar social networking services. Although 58.5 percent of Facebook users in Korea use only PC Facebook, 20.5 percent use Facebook only on mobile devices and another 21 percent (shown in green) use Facebook with both mobile and desktop (PC) devices. The Nielsen report also shows clearly that young people in their twenties are driving the trend toward greater use of Facebook in Korea. The 19-29 year old age bracket accounts for 31 percent of all Facebook users in South Korea at this time. Finally, I thought it would be interesting to consult Google Trends data on the number of visitors to facebook.com compared with visitors to cyworld.com. The results are shown in the accompanying graphic (click for larger version of graphic). Note especially that the number of Korean visitors to Facebook starts to increase in late 2010. It is undoubtedly not a coincidence that Facebook introduced its localized, Korean language service in August of that year. Google Trends also shows that it was sometime in late 2010 that Korean-language searches for Facebook (or 페이스북, written in hangul) began to increase. Taken together, the patterns noted in this post bring into clear focus the challenge Facebook will have to ensure long-term success in the South Korean market. Success will depend upon how well it can localize its services, not simply by translating everything into Korean, but by adapting them to the consumer preferences in the fast-moving and always interesting Korean marketplace. That was the gist of my argument in a post back in 2010. Incidentally, if Facebook really wants to thing about larger long-term success, it should begin planning for services that will assist in the reunification of divided families in Korea and ultimately the process of national reunification itself. As reported widely in Korea and around the world,smartphone users in South Korea now account for more than 50 percent of all mobile subscribers. According to the three mobile service providers KT, SK Telecom and LG Uplus, as reported in the Chosun Ilbo, the number of smartphone users stands at 26.72 million, 50.8 percent of all 52.55 million mobile subscribers. 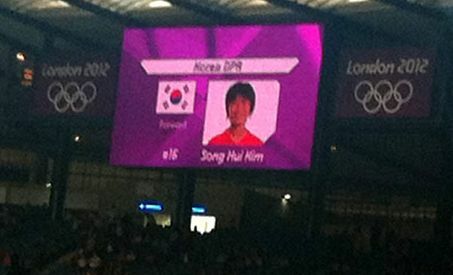 However, some of the international press coverage fails to accurately report the Korean situation. For example, an AFP story suggests that "South Koreans were introduced to smartphones relatively late, with Apple's iPhone approved only in September 2009 because of privacy concerns over some of its features." While it is true that the iPhone arrived in Korea late, about two and a half years after its introduction in the U.S. and after it had entered 80 other national markets, the reasons have to do with much more than privacy concerns. There are at least three important factors. First, the major mobile service providers in Korea (SK Telecom, KT and LG) were afraid of losing voice revenue to VOIP services if the iPhone were allowed into Korea's market. Remember, there was already an incipient trend among young people to install Skype on the iPod Touch. Second, a unique software protocol called WIPI was still required on all mobile phones used in South Korea, even though it had outlived its original stated purpose and had become more of a non-tariff trade barrier than anything else. Third and finally, Korea's handset manufacturers, led by Samsung Electronics and LG, had placed almost all of their emphasis on the development of feature phones and were perplexed by what to do in the face of the new smart phone paradigm. Given these circumstances, including the obvious fact that Korean consumers had to watch and wait as the iPhone spread rapidly through other markets around the world, pent-up demand no doubt helps to explain the rapid diffusion of smart phones in South Korea. Another factor, of course, is is the presence of a tech-savvy and highly educated populace here. Koreans are quick to try out and use new information technologies, most especially ones that can help them better organize their lives and communicate with friends, family and co-workers. As reported in The Korea Joongang Daily the town of Gujwa in northeastern Jeju last year became the only full test of a smart grid. 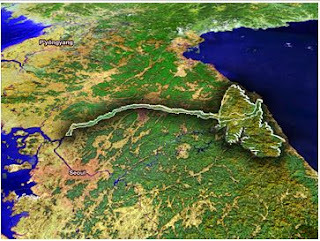 Consequently, it has attracted international interest. Around 6,000 homes are on the smart grid system and 168 companies are testing the grid’s technology, including the power company, telecommunications companies and even automobile and home appliances companies. As of last month, about 270 billion won ($236 million) was invested and the companies involved in the project include SK Telecom, KT, LG Electronics and GS Caltex. A smart grid is a digitally enhanced electrical grid that gathers, distributes and acts on information about both electricity providers and consumers in order to improve the efficiency of electricity services. As shown in the accompanying graphic (click to see a larger version) the Korea Institute for Advancement of Technology predicts that the global smart grid industry (including research) will expand from $200 billion last year to $238 billion in 2016 and $870 billion in 2030. Korea’s smart grid industry last year was around $3.8 billion in size, the institute said, and is expected to grow to $4.5 billion in 2016. The Joongang Daily article is worth reading and this is a story that is worth following. South Korea clearly has the potential to be a world leader in smart grid technology. One of the most interesting aspects of this nation's broadband revolution of the 1990s was the role played by the Korea Electric Power Company (KEPCO). As described in some detail in my book with Dr. Myung Oh, KEPCO began installing fiber optic cable throughout its network as early as 1980. 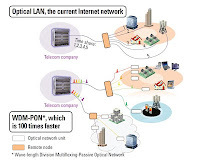 This meant that, when it came to the big push to build out commercial broadband services in the 1990s, the KEPCO fiber network became extremely valuable. Today, the simple fact that South Korea possesses the most extensive and advanced digital networks in the world would seem to suggest that it will utilize these networks, alongside the electric power supply grid, to become a leader in "smart grid" technology. Last fall I was living in Seoul's Gangnam district when the British retailer TESCO introduced its "virtual shopping" experiment at a nearby subway station. It appears that this experiment has achieved some degree of success in Korea and may spread to other markets around the world. Forbes, in an article entitled "The future of shopping is virtual," reports that, the retailer Peapod is trying out a similar scheme in Chicago. As noted in that article, virtual shopping pioneered in South Korea. The video below provides an interesting glimpse into the fast moving Korean marketplace and how retailers are exploring new uses for those smart phones that nearly all consumers will soon carry. The Wall Street Journal carried an article noting that Samsung Electronics has begun to aggressively hire foreign software engineers, especially from India, in an effort to keep up with its rival Apple. The article adds some interesting context to current developments. However, there is a somewhat misleading sentence early in the article, suggesting that "...as the smartphone market rapidly shifts its emphasis from hardware to software, the Korean manufacturer is realizing it must change its insular corporate culture." In point of fact, the smartphone market has been heavily dependent on software from the very beginning, especially the variety called mobile "Apps," but including all of the software required to support an "ecosystem of services." This reality helps to explain why there was such excruciating shock in the South Korean market when Apple's iPhone finally arrived in late 2009, after it had already been adopted in about 80 other countries over a two and one half year period. The need for an ecosystem of services that provides useful information service applications also explains why there are two dominant players in the global smartphone market today, Google and Apple, which I identify in order of the degree of their present and future dominance. Google, with its Android software and growing array of cloud-based information services, has chosen a course that seems likely to make it far more dominant in the global marketplace than Apple. As to the Microsoft-Nokia alliance, I think that both of those companies came late to the party. Microsoft especially, suffers from being so closely tied to the old, Windows desktop model of computing, which is now rapidly being replaced by cloud-based, mobile solutions. Here in the Korean market, LG has paid a heavy price for its decision to use Microsoft's mobile software. The Wall Street Journal article also notes that Samsung's own mobile software platform, Bada, has been unpopular with consumers. Rather than attempting to introduce an entirely new mobile OS, I would think Samsung could benefit over the long run by putting its software engineers to work on ensuring that all of its mobile devices run efficiently on Android and on the development of both Android apps and logical extensions of the Android platform (which after all is an open platform) in Asia and for the global marketplace. 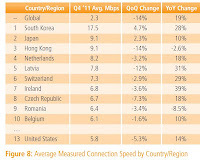 Akamai has released its State of the Internet report for the fourth quarter of 2011. Readers of this blog will know that I've been following those reports somewhat regularly in recent years, most recently in a post last fall. This latest report takes on even greater interest now that I've moved to Daejon in order to join the faculty of KAIST. 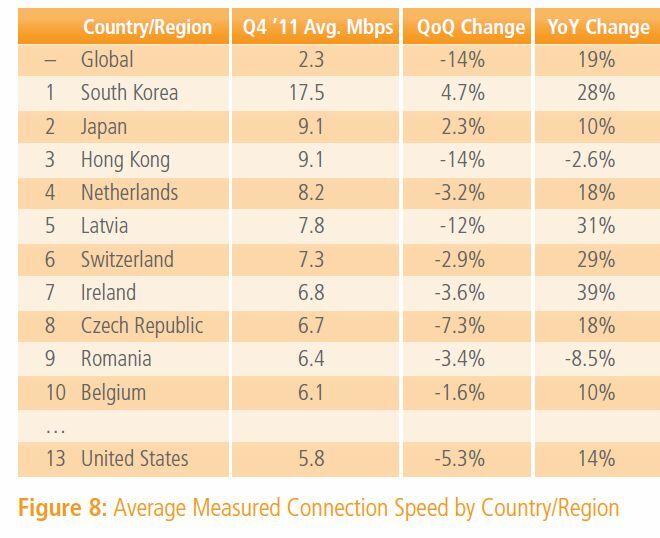 You see, Daegu and Daejon (spelled Taegu and Taejon in the Akamai report) topped the list of the worlds cities with the fastest average broadband connection speeds, as shown in Figure 9 of the report. In fact, they were the only two cities with average connection speeds above 20 Mbps. In this era of increasing use of big-data and data visualization on the internet, the Akamai report is well worth reading, and reading carefully with an eye toward data sources, sample size and possible sampling error. Even more interesting and useful than the downloadable quarterly State of the Internet report, are the online tools that can be accessed on the same page of the Akamai web site. They allow the easy creation of line graphs comparing data from different countries. For example, Figure 8 of Akamai's quarterly report contains the table presented here (click to see a full-size version), along with a world map that shows the location of leading countries. Although this static picture is interesting, it is possible to create a more informative picture of what is happening in those countries by using the data visualization tool on the website to create and download a line graph from the data made available. I've done so and the graph is presented here (click to see a full-size version). 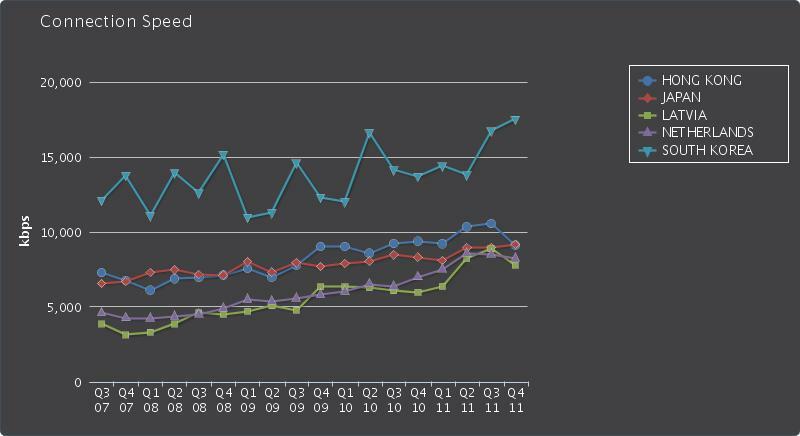 It shows the average broadband connection speeds for the top five nations in Figure 8 by quarter, for over four years from the third quarter of 2007 through the end of 2011. This line graph is only one small example of what is made possible by Akamai's "State of the Internet Data Visualization" tool. Indeed, it is possible to compare data across time for many different combinations of nations. I found it very interesting to note that the world map presented on the Akamai site contains data for North Korea, but only if you hover over that country with the mouse pointer. Data for North Korea are not available on the drop down menu of nations and individual U.S. states. For the record, North Korea shows an average connection speed of 1,012 kbps, or just over 1 Mbps. There is much, much more that could be said about the gathering and reporting of big data on internet trends, but I will leave that for future posts, while I continue to enjoy "Daejon-speed" broadband internet. As always, comments are welcome.